Siegfried, Snow White, D' Artagnan, Red Riding Hood, and the other heroes of the 12 realms are being reunited for one last great adventure. The Dark Lords have joined forces to completely conquer and subjugate all the known Lands, and only the combined efforts of all the greatest heroes can halt their nefarious plan. 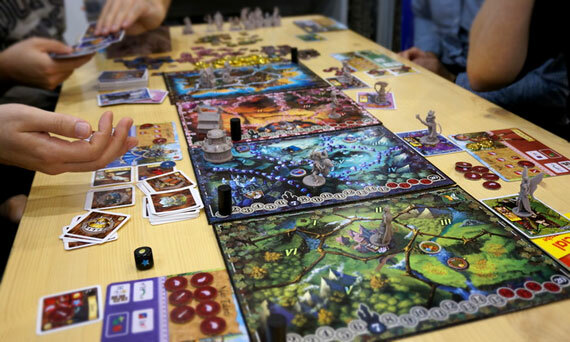 All players must band together to stop the Dark Lords' overwhelming hordes from pillaging the 12 Realms. Individual invaders can be defeated by using each hero's different talents, but to vanquish the Dark Lords you must claim a powerful artifact. In their quest to stop the invasion, the Heroes can travel together between different lands, or they can try to single-handedly defend a Realm. Each of the 12 Realms is an individual land, with different treasures and events, and populated by unique creatures. 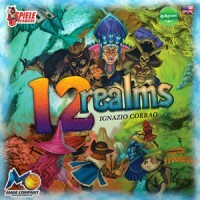 Add a Review for "12 Realms"